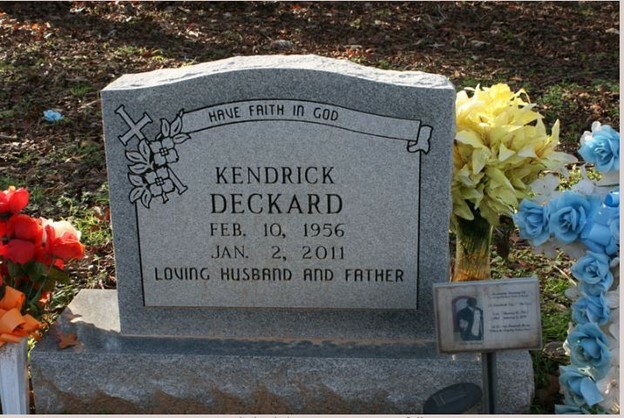 Funeral for Kendrick Earl Deckard, 54, of Nacogdoches will be at 11 a.m. Thursday, Jan. 6, 2010, at the Zion Hill First Baptist Church with the Rev. A.D. Mills officiating. Burial will be in Stonewall Cemetery. Mr. Deckard died Jan. 2, 2011, in Nacogdoches. He was born Feb. 10, 1956, in Nacogdoches. Visitation will be from 11 a.m. until 8 p.m. Wednesday Jan. 5. Sid Roberts Funeral Home. Just heard from Peggy Galloway on Facebook -- she told me about Kendrick. So sorry to hear this. He was definitely one of our class clowns. Am not for certain but I recall hearing that Kendrick was in the Marines and that he participated in the SS Mayaguez incident in 1975. He was also wounded in action. If true, another one of 'Doches' fallen heroes. I had heard that too, Garry. Thanks for posting.